We get it ladies, there’s nothing quite as soothing or satisfying as getting a manicure after a long day at work. Sure, relaxing in bed is all well and good, but there’s just something about getting your nails done that puts you in relaxation mode like nothing else. But with so many ways to get our nails done, it’s often difficult to choose. Most women often opt for the traditional acrylic. And just in case you’ve been living under a rock over the years, acrylics are fake nails placed on your real nails, either painted a colour of your choosing or covered in “fillings” — a white or clear powder substance. Ladies, we can all probably agree that whether or not we get acrylics frequently, they sure do look nice on our nails. But as you’ve probably heard once or twice before, they’re not necessarily the most sanitary beauty indulgence. The truth is, they can be seriously damaging your health. 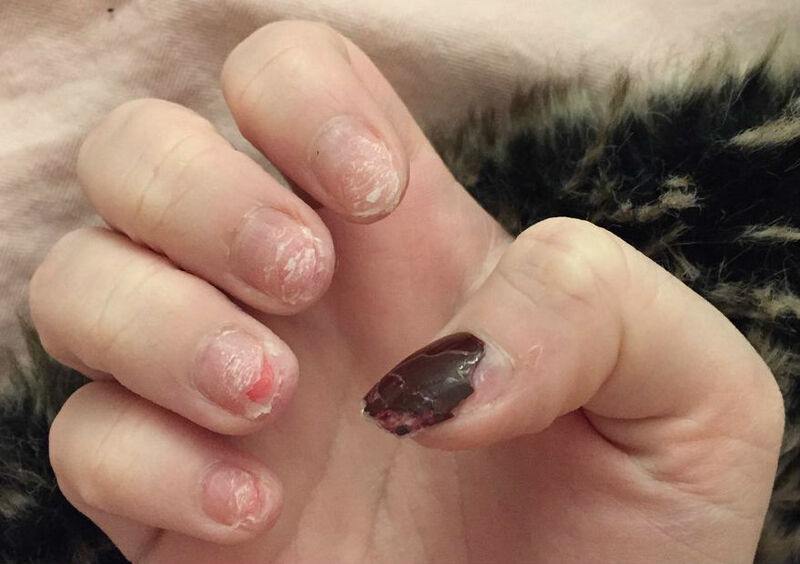 Take a look below at the hidden dangers of getting acrylics and be aware the next time you head to the salon for that filling! 1. The hard-to-clean area underneath your nail may cause your nails to be extra sensitive, especially if an MMA based Acrylic (Methyl Methacrylate) is used. Though they’ve been banned for use on nails because of toxicity, some low-end nail salons still it. 2. Acrylics may create inflamed or itchy cuticles if the tools used to apply them are worn out or coarse. Be mindful of those which have sharp odours — this is a sign that something is off. 3. Depending on your nail strength, acrylics may cause a splitting or painful nail plate. Pay close attention to how strong and think your nails are. Extremely thin nails may not be the best for acrylics. 4. It might be hard to spot, but infection below the nail bed can become all too real. This also goes back to overused, worn out nail tools. 5. Pay attention to your nail growth over time. Acrylics often weaken nails, making them prone to breakage. Why you should REFUSE the use of blade on your feet ?